The Royal Hobart Hospital Redevelopment is the first among a host of recent project procurements for ESCO Industries. The hospital has been serving Tasmanians from its present site since 1820, and is the state’s largest hospital and referral centre. The Hospital has been undergoing a $689M redevelopment for over five years, which has now entered its third phase. ESCO’s involvement in the redevelopment project commenced in November 2017 and concerns the current construction of the new Inpatient Precinct. Known as ‘K-Block’, the new facility will consist of two 10 storey towers and allow for an increased patient capacity of 250 beds. At the time of its completion – currently scheduled for mid-2019 – the K-Block will be a state-of-the-art, modern medical centre with a focus on enhanced patient safety, infection control, and sustainable design that maintains the potential for future expansion. 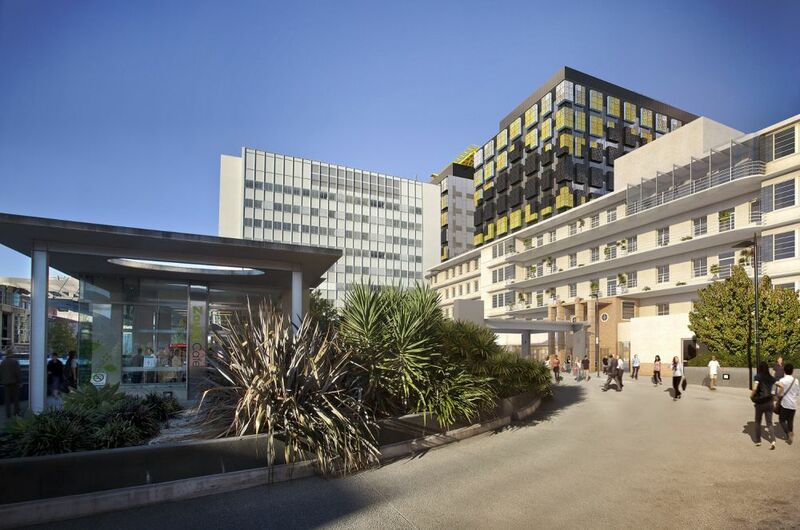 The success of the Australian and Tasmanian governments’ joint investment is dependent on the quality of the products employed in the hospital fit-out. Project contractors FIP Electrical and The BOC Group have enlisted ESCO and Meditek for the supply of electrical, plastic, and gas to the K-Block. ESCO and Meditek were approved as the respective suppliers of Medical Services Panels (MSPs) and Plastics toward the end of 2017. With drawings approved for construction in March, our supply of MSPs to the Hobart site began in July. Mid-2018 also saw BOC appoint ESCO as the supplier of Medical Gas Line Valves and Isolation Valveboxes. The range of products currently supplied by ESCO includes Alphamax Flush Mounted Medical Services Panels, Isolation Transformers, Line Isolation and Overload Monitors, Medical Gas Isolation Line Valves and Medical Gas Isolation Valve Boxes. Additionally, Meditek has supplied GPO’s (General Power Outlet), RCD’s (Residual Current Device), Light Switches, Data Grids, and Secure GPO’s. We look forward to sharing further projects as they develop.